Multi pack Fire exit signs & labels - A5 fire action standard self adhesive vinyl labels 6 pack. Multi pack Fire exit signs & labels - A5 fire point self adhesive vinyl labels 6 pack. 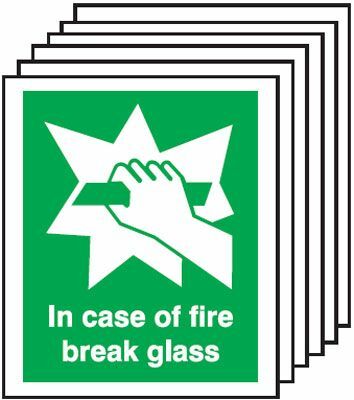 Multi pack Fire exit signs & labels - 150 x 125 mm in case of fire break glass 1.2 mm rigid plastic signs 6 pack. 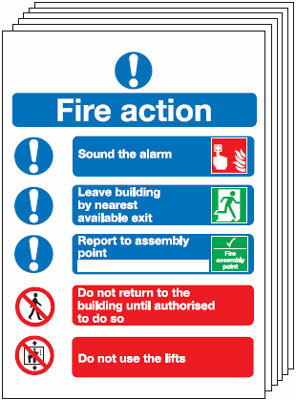 Multi pack Fire exit signs & labels - A5 fire action standard 1.2 mm rigid plastic signs 6 pack. 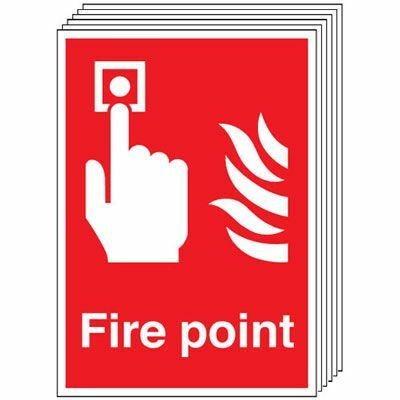 Multi pack Fire exit signs & labels - A5 fire point 1.2 mm rigid plastic signs 6 pack. Multi pack Fire exit signs & labels - A4 fire point self adhesive vinyl labels 6 pack. Multi pack Fire exit signs & labels - A4 fire action standard self adhesive vinyl labels 6 pack. Multi pack Fire exit signs & labels - A3 fire action standard self adhesive vinyl labels 6 pack. Multi pack Fire exit signs & labels - A4 fire point 1.2 mm rigid plastic signs 6 pack. Multi pack Fire exit signs & labels - A4 fire action standard 1.2 mm rigid plastic signs 6 pack. Multi pack Fire exit signs & labels - A3 fire action standard 1.2 mm rigid plastic signs 6 pack. 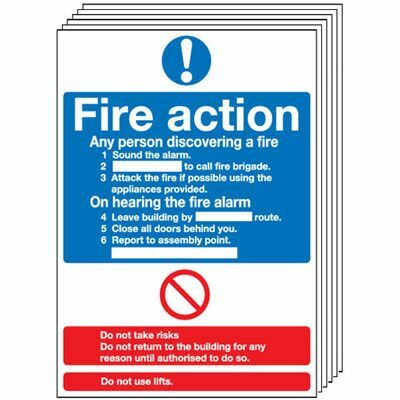 Multi pack Fire exit signs & labels - A4 fire action standard 1.2 mm rigid plastic signs with self adhesive backing labels 6 pack. Multi pack fire signs & labels - 150 x 300 mm fire exit keep clear self adhesive vinyl labels 6 pack. Multi pack fire signs & labels - 150 x 450 mm fire exit keep clear self adhesive vinyl labels 6 pack. Multi pack fire signs & labels - 150 x 300 mm fire exit keep clear 1.2 mm rigid plastic signs 6 pack. Multi pack fire signs & labels - 150 x 450 mm fire exit keep clear 1.2 mm rigid plastic signs 6 pack. Multi pack fire signs & labels - 300 x 600 mm fire exit keep clear self adhesive vinyl labels 6 pack. 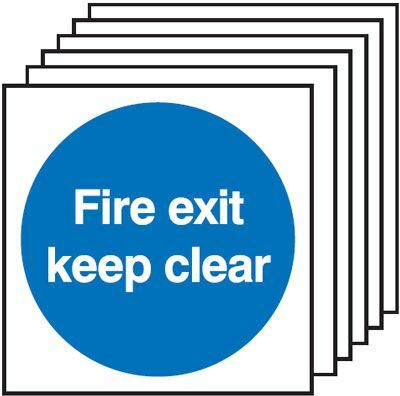 Multi pack fire signs & labels - 300 x 600 mm fire exit keep clear 1.2 mm rigid plastic signs 6 pack. 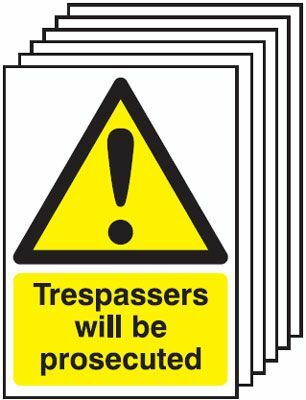 Multi pack fire signs & labels - 300 x 600 mm fire exit keep clear 1.2 mm rigid plastic signs with self adhesive backing labels 6 pack. Multi pack Fire exit signs & labels - 50 x 100 mm push to open self adhesive vinyl labels 6 pack. Multi pack Fire exit signs & labels - 50 x 100 mm pull to open self adhesive vinyl labels 6 pack. 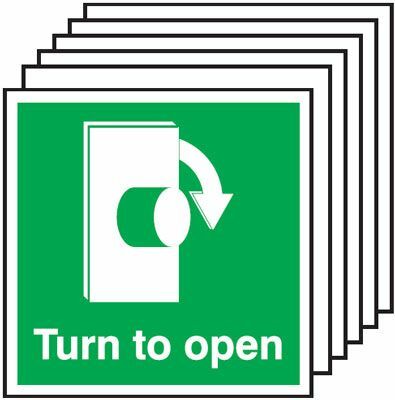 Multi pack Fire exit signs & labels - 125 x 125 mm turn to open clockwise self adhesive vinyl labels 6 pack. Multi pack Fire exit signs & labels - 125 x 125 mm turn to open anti clockwise self adhesive vinyl labels 6 pack. Multi pack Fire exit signs & labels - 50 x 100 mm push to open 1.2 mm rigid plastic signs 6 pack. Multi pack Fire exit signs & labels - 50 x 100 mm pull to open 1.2 mm rigid plastic signs 6 pack. Multi pack Fire exit signs & labels - 100 x 200 mm push to open self adhesive vinyl labels 6 pack. Multi pack Fire exit signs & labels - 100 x 200 mm pull to open self adhesive vinyl labels 6 pack. Multi pack Fire exit signs & labels - A5 caution self adhesive vinyl labels 6 pack. Multi pack Fire exit signs & labels - A5 cctv in operation self adhesive vinyl labels 6 pack. 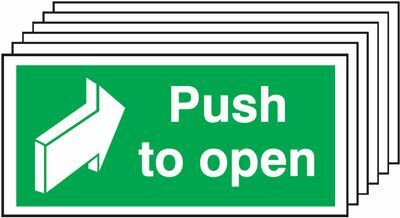 Multi pack Fire exit signs & labels - 125 x 125 mm turn to open anti clockwise 1.2 mm rigid plastic signs 6 pack. 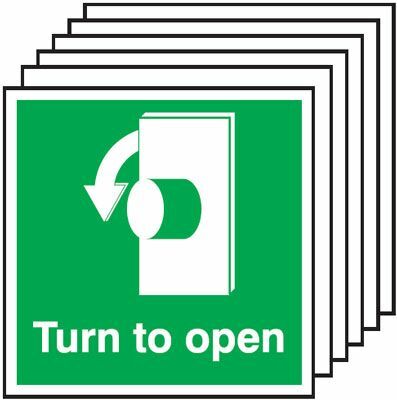 Multi pack Fire exit signs & labels - 125 x 125 mm turn to open clockwise 1.2 mm rigid plastic signs 6 pack. Multi pack Fire exit signs & labels - 100 x 200 mm push to open 1.2 mm rigid plastic signs 6 pack. 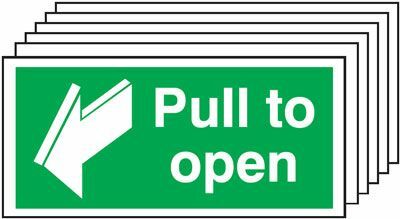 Multi pack Fire exit signs & labels - 100 x 200 mm pull to open 1.2 mm rigid plastic signs 6 pack. Multi pack Fire exit signs & labels - A5 cctv in operation 1.2 mm rigid plastic signs 6 pack. Multi pack Fire exit signs & labels - A5 caution 1.2 mm rigid plastic signs 6 pack. Multi pack Fire exit signs & labels - 150 x 450 mm exit for emergency use only self adhesive vinyl labels 6 pack. Multi pack Fire exit signs & labels - A4 caution self adhesive vinyl labels 6 pack. Multi pack Fire exit signs & labels - A4 cctv in operation self adhesive vinyl labels 6 pack. Multi pack Fire exit signs & labels - A3 cctv in operation self adhesive vinyl labels 6 pack. Multi pack Fire exit signs & labels - A3 caution self adhesive vinyl labels 6 pack. Multi pack Fire exit signs & labels - 150 x 450 mm exit for emergency use only 1.2 mm rigid plastic signs 6 pack. Multi pack Fire exit signs & labels - A4 cctv in operation 1.2 mm rigid plastic signs 6 pack. Multi pack Fire exit signs & labels - A4 caution 1.2 mm rigid plastic signs 6 pack. Multi pack Fire exit signs & labels - A3 cctv in operation 1.2 mm rigid plastic signs 6 pack. Multi pack Fire exit signs & labels - A3 caution 1.2 mm rigid plastic signs 6 pack. 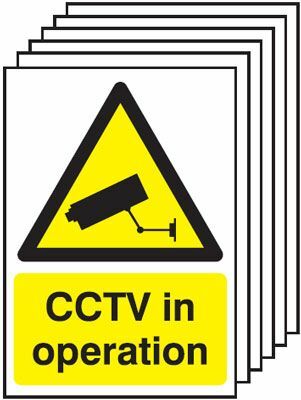 Multi pack Fire exit signs & labels - A4 cctv in operation 1.2 mm rigid plastic signs with self adhesive backing labels 6 pack. 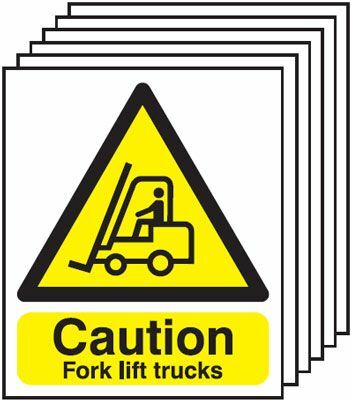 Multi pack fork lift signs & labels - 300 x 250 mm caution fork lift trucks 1.2 mm rigid plastic signs 6 pack. Multi pack fragile roof labels & labels - A5 caution fragile roof self adhesive vinyl labels 6 pack. Multi pack fragile roof signs & labels - A5 caution fragile roof 1.2 mm rigid plastic signs 6 pack. Multi pack fragile roof labels & labels - A4 caution fragile roof self adhesive vinyl labels 6 pack. Multi pack fragile roof labels & labels - A3 caution fragile roof self adhesive vinyl labels 6 pack. 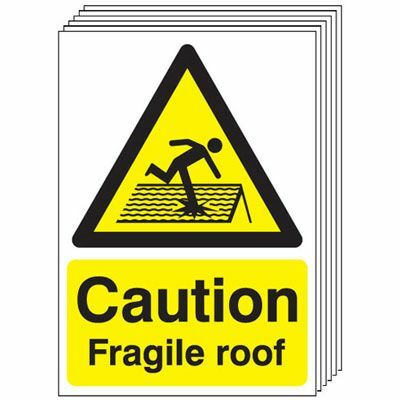 Multi pack fragile roof signs & labels - A4 caution fragile roof 1.2 mm rigid plastic signs 6 pack. Multi pack fragile roof signs & labels - A3 caution fragile roof 1.2 mm rigid plastic signs 6 pack. Multi pack fragile roof signs & labels - A4 caution fragile roof 1.2 mm rigid plastic signs with self adhesive backing labels 6 pack. 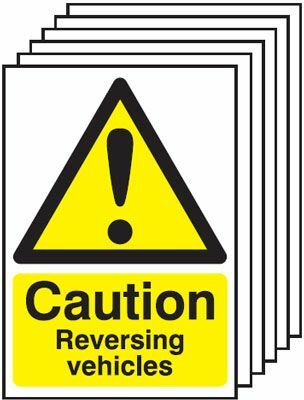 Multi pack fork lift labels - 300 x 250 mm caution fork lift trucks self adhesive vinyl labels 6 pack. 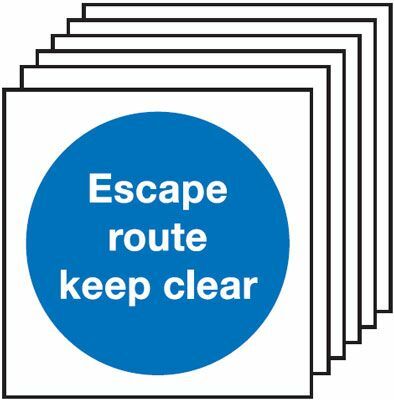 Multi pack Fire exit signs & labels - 150 x 150 mm escape route keep clear 1.2 mm rigid plastic signs 6 pack. 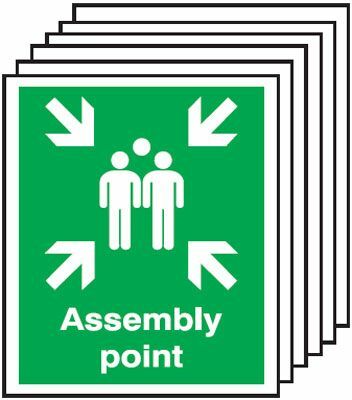 Multi pack Fire exit signs & labels - 150 x 450 mm escape route keep clear self adhesive vinyl labels 6 pack. Multi pack Fire exit signs & labels - 150 x 450 mm escape route keep clear 1.2 mm rigid plastic signs 6 pack. Multi pack Fire exit signs & labels - A5 caution guard dogs on patrol self adhesive vinyl labels 6 pack. Multi pack Fire exit signs & labels - A5 caution guard dogs on patrol 1.2 mm rigid plastic signs 6 pack. Multi pack Fire exit signs & labels - A4 caution guard dogs on patrol self adhesive vinyl labels 6 pack. Multi pack Fire exit signs & labels - A3 caution guard dogs on patrol self adhesive vinyl labels 6 pack. Multi pack Fire exit signs & labels - A4 caution guard dogs on patrol 1.2 mm rigid plastic signs 6 pack. Multi pack Fire exit signs & labels - A3 caution guard dogs on patrol 1.2 mm rigid plastic signs 6 pack. 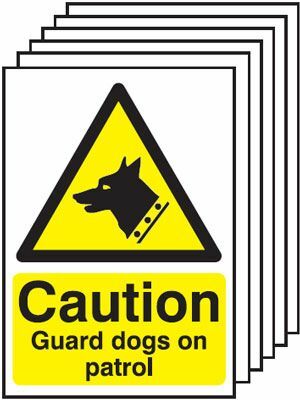 Multi pack Fire exit signs & labels - A4 caution guard dogs on patrol 1.2 mm rigid plastic signs with self adhesive backing labels 6 pack. Multi pack Fire exit signs & labels - A5 warning beware of step self adhesive vinyl labels 6 pack. Multi pack Fire exit signs & labels - A5 warning beware of step 1.2 mm rigid plastic signs 6 pack. Multi pack Fire exit signs & labels - A4 warning beware of step self adhesive vinyl labels 6 pack. Multi pack Fire exit signs & labels - A3 warning beware of step self adhesive vinyl labels 6 pack. Multi pack Fire exit signs & labels - A3 warning beware of step 1.2 mm rigid plastic signs 6 pack. Multi pack Fire exit signs & labels - A4 warning beware of step 1.2 mm rigid plastic signs 6 pack. 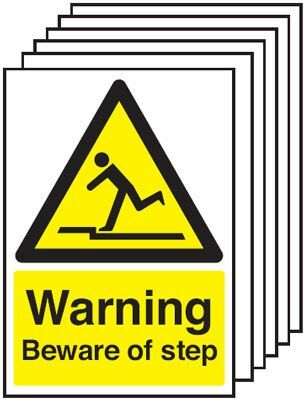 Multi pack Fire exit signs & labels - A4 warning beware of step 1.2 mm rigid plastic signs with self adhesive backing labels 6 pack. 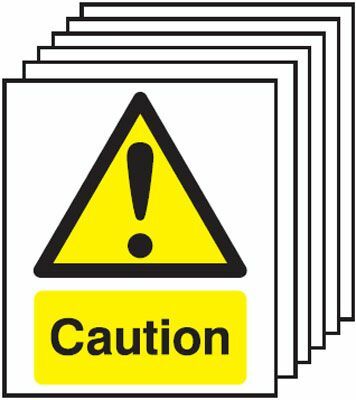 Multi pack Fire exit signs & labels - 400 x 300 mm caution trip hazard self adhesive vinyl labels 6 pack. 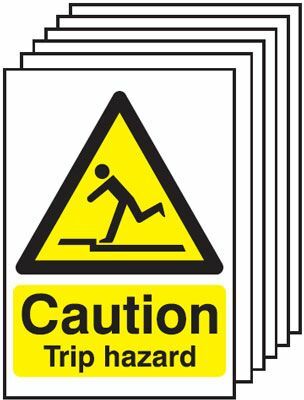 Multi pack Fire exit signs & labels - 400 x 300 mm caution trip hazard 1.2 mm rigid plastic signs 6 pack. 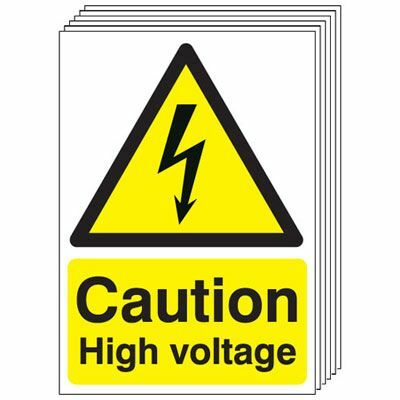 Multi pack Fire exit signs & labels - A5 caution high voltage self adhesive vinyl labels 6 pack. Multi pack Fire exit signs & labels - A4 caution high voltage self adhesive vinyl labels 6 pack. Multi pack Fire exit signs & labels - A3 caution high voltage self adhesive vinyl labels 6 pack. 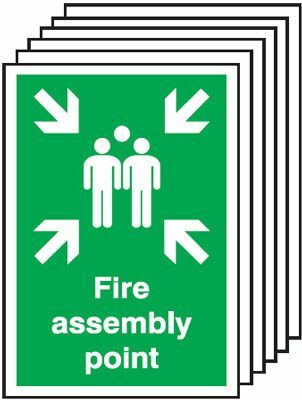 Multi pack Fire exit signs & labels - A4 caution high voltage 1.2 mm rigid plastic signs with self adhesive backing labels 6 pack. Multi pack Fire exit signs & labels - A5 caution wet floor self adhesive vinyl labels 6 pack. Multi pack Fire exit signs & labels - A4 caution wet floor self adhesive vinyl labels 6 pack. 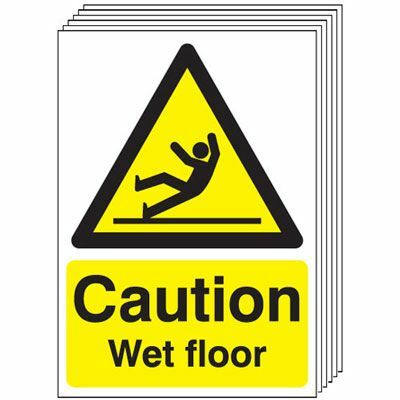 Multi pack Fire exit signs & labels - A3 caution wet floor self adhesive vinyl labels 6 pack. Multi pack Fire exit signs & labels - A4 caution wet floor 1.2 mm rigid plastic signs with self adhesive backing labels 6 pack.